The family behind Riverside Farms and Rivercider has a long family history in agriculture, with 5 consecutive generations of farmers, and a 6th generation now living on its 130 year old farm. Below is a brief, generation by generation history of the farmer lineage leading up to the current farmer of Riverside. J.W. Morton started Riverside Farms in 1886 (on already existing farmland from the 1870s). He grew many different crops, including apples and pears, but at that time especially strawberries and asparagus. In addition to farming the land, J.W. Morton also served as the President of Hood River Fruit Growers' Union, making him integral in making the Hood River area a world renowned fruit growing region. In addition to being a farmer, J.W. Morton also earned his Juris Doctor, was a member of the Oregon State Legislature, serving as the Chairman of the House’s Committee on Horticulture in the 1890s, and ran for the U.S. Senate in 1912 and for Oregon Governor in 1938 (both unsuccessfully). Son of German immigrants, WWI veteran, George Struck, married J.W. Morton’s daughter, Gladys in 1923. After the marriage he oversaw the commercial growing of berries, an orchard, and the herding of cows at Riverside. 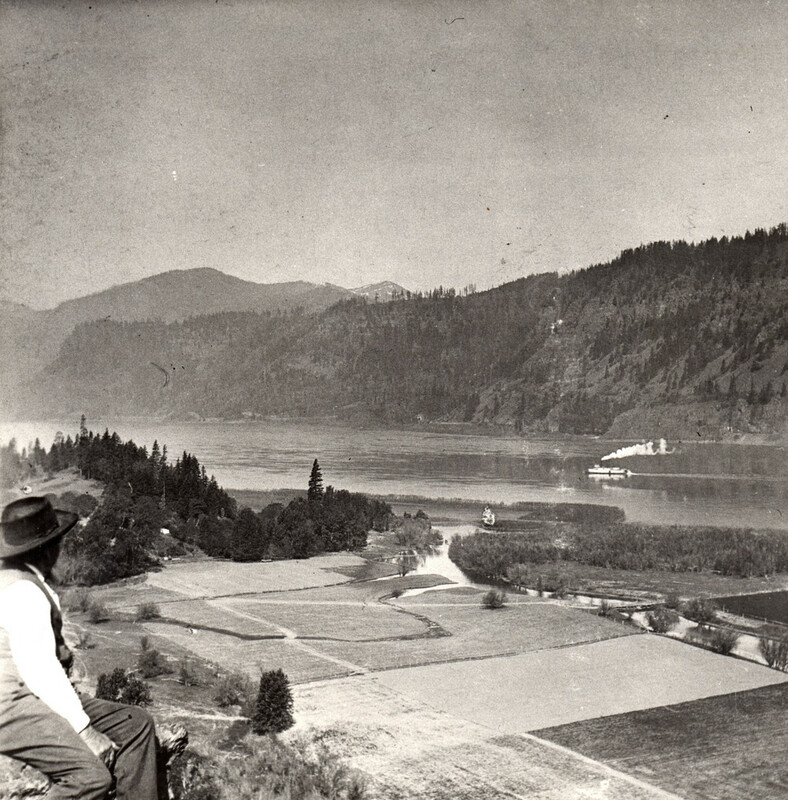 Over his entire life he farmed various plots of land on both the Washington and Oregon sides of the Columbia River and up through the Hood River Valley, growing everything from corn, cows, to concords. James Struck, son of George and Gladys Struck, made a career for himself both in investing and creating new farms and growing new crops. He studied Pomology at Oregon State University and in 1958 was named Hood River County’s Young Farmer of the Year. He went on to work as an orchard consultant for FMC Corp., where he had the opportunity to consult for growers in the Soviet Union on orchard management practices. Sheldon Struck, son of James Struck, grew up and spent his entire life in Hood River, working on his father’s and grandfather’s farms. After college he returned to Hood River where he pursued a career as an orchardist on the family’s original farm plot at Riverside. Upon his return he married his college girlfriend, Sue Davis. Unfortunately in 1991 Sheldon unexpectedly passed away, leaving the orchard in the hands of his wife, Sue. In 1992 Sue got remarried to Dr. Tony Gay, who adopted her children, Brooke, Heather, and Jordan. Both Sue and Tony worked hard to keep their children’s family’s heritage farm intact, turning it into the productive farm it is today. Jordan Struck, son of Sheldon Struck, grew up on the farm in Hood River. Working as a trained teacher both overseas and in the Portland area for several years, in 2014 he returned to Hood River with his wife, Samantha, to permanently live and learn to take over the family’s farm operations. Since his return he has energetically and diligently worked to bring about the commercial production of Rivercider, and in 2015 implemented a sustainability initiative for the orchard, which ceased the use of many conventional pesticides, eliminated the use of herbicides, and promoted beneficial insects and bird habitat.